Tonight, Donald Trump is heading to Congress to explain his proposed budget, which includes a $54 billion increase in military spending at the expense of such trivial expenditures as “the environment.” That he is intending to build up our military is clear, and has been since he was merely a candidate. He is obsessed with nuclear power, and he yearns for a new arms race. And so, apropos of this, let us listen to the sage words of Kurt Vonnegut, who in 1982 was called on by the Catholic church to deliver a sermon on the nuclear threat. At the time, the Cold War was in full swing, and a then-recent three-part article by Jonathan Schell had appeared in The New Yorker raising fears of a hydrogen bomb being detonated in America. Vonnegut’s was part of a series of sermons from people in different fields calling for nuclear disarmament. The entire text of Vonnegut’s speech has been available for years, but WNYC has uploaded the audio of him actually reading it that Sunday morning. It’s always worth listening to a great writer read their own words—there’s an interesting juxtaposition between Vonnegut’s spoken comic timing and his written comic timing—but in this case it’s Vonnegut’s typically long view of things that is worth indulging. The speech is uniquely aware of its Christian context, perhaps surprising given that Vonnegut was a life-long atheist. Much of it concerns the specific brutality of crucifixion, which he describes and investigates in detail, partially as a means of juxtaposing the faster and larger-scale terrors of a hydrogen bomb going off. Using those two possible forms of death as extremes, he meditates on the human fear of dying, before finally offering some hope that technology can help avert a nuclear holocaust. Vonnegut saw a possible antidote for nuclear annihilation in the humanizing powers of television, which made the horrors of war much more palpable for viewers. 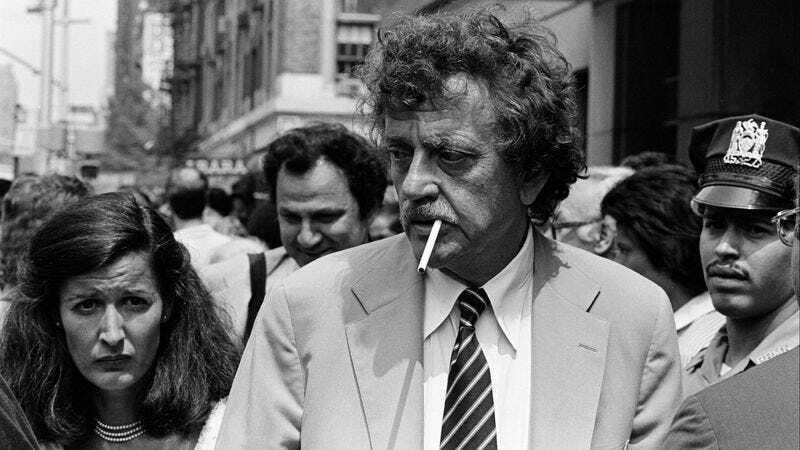 If you’re hungry for some more of Vonnegut’s unique brand of comfort—which amounts, here, to, “at least it’s not crucifixion”—read our list of 15 things he said better than anyone else ever has or will.